Exciting exhibition featuring figurative works from three talented artists - Prue Pye’s paintings captureing the multi faceted layers and non-topical colour in the human form while Davina Brett's sculptures exploring the everyday objects and how it relates to the human posona and in my paintings I continue to pursue my fascination with ‘Absence of Presence’. The simple concept where we are able so see something that‘s no longer there, or visualise what used to be. Following a preview evening on the 2nd March the exhibition was opened at the beautiful Norman Cross Gallery, on Saturday 4th to 25th March 2017. 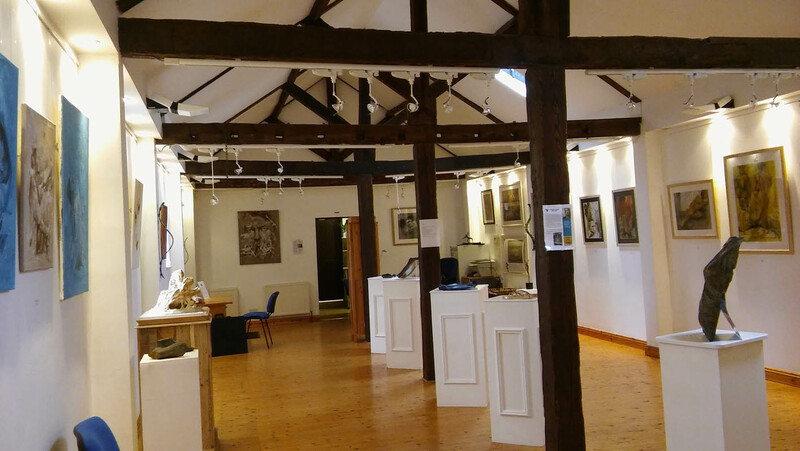 The gallery itself is a beautiful space tucked away in the quiet grounds at Norman Cross House, Norman Cross, Peterborough, Cambs PE7 3TB.